Get Kids Smiling Again Fast! Let’s all face facts – our kids are accident prone! Unfortunately, their smiles are not exempt from accidents, injury, and pain. Luckily for kids and parents in the Casper area, our skilled dentists and dental care team are here to help when your kids need urgent dental care. You can count on the Casper Children’s Dental Clinic team to offer fast, efficient emergency dentistry services to get your little one out of pain and back to smiling in no time. The first step is easy. Pick up the phone and give our team a call. We look forward to helping to repair your child’s damaged smile. As kids’ smiles grow and change, they are likely to experience some growing pains. This is perfectly normal. If one particular tooth seems to be bothering your little one, the situation may be more serious. Until you reach our dental office, keep your child comfortable with oral or topical pain relievers. If possible, have your child wait to eat until after their appointment in our office. If they do need to eat, take care to ensure they only chew with the part of their smile that is not paining them. Depending on the age of your child, you may want to either take over tooth brushing and flossing or monitor them to ensure they don’t unintentionally injure their already hurting tooth. If your child has chipped, cracked, or broken a tooth, clean out their mouths with cool water. Then, carefully examine the damaged tooth and surrounding gum tissue. Make sure there are no sharp edges that may further damage your child’s smile. If the soft tissue is injured, have your little one bite down on gauze or clean cloth to absorb blood and apply pressure to slow bleeding. If the tooth is sharp, use a bit of orthodontic wax (available at most pharmacies and grocery stores) to cover the sharp part of the tooth. If possible, have your child wait to eat until after their appointment in our office. If they do need to eat, take care to ensure they only chew with the part of their smile that is not paining them. Depending on the age of your child, you may want to either take over tooth brushing and flossing or monitor them to ensure they don’t unintentionally injure their already hurting tooth. If your child’s knocked out tooth is a part of their primary “baby” set of teeth, you should simply clean out their mouths with cool water and check for damage to surrounding teeth. If there’s no additional damage, have your child bite down on gauze or a clean cloth to absorb blood flow. You should still contact us, so we can help you determine whether or not your child needs to come in for an examination. If a child loses a permanent tooth, do your best to replace the tooth in the socket. If this isn’t possible, store the tooth in a container filled with milk or water until you make it to the office. If possible, have your child wait to eat until after their appointment in our office. If they do need to eat, take care to ensure they only chew with the part of their smile that is not paining them. Depending on the age of your child, you may want to either take over tooth brushing and flossing or monitor them to ensure they don’t unintentionally injure their already hurting tooth. Once your child’s filling is in place, it should stay there for a decade or longer, but biting into hard objects, poor oral hygiene, and facial trauma can all lead to the loss of a filling. In most cases, it’s easy enough to repair the damage, and your child may not even notice the filling is lost until his or her next dental appointment. If your little one is in pain, following the directions for toothaches above, and if your child’s tooth is sharp or jagged, see the instructions for chipped and broken teeth above. 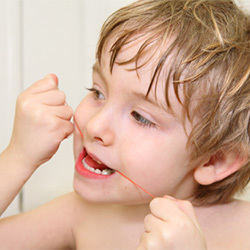 Make sure your child carefully brushes and flosses each day. Limit your child’s consumption of sugary and acidic foods to reduce plaque production and cavity risk. Bring your child to see us at least two times each year for dental exams and teeth cleanings to keep smiles healthy. 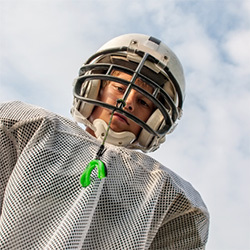 Make sure kids who play sports wear a customized mouthguard to protect their smiles during athletic events and practices. Don’t let kids use to teeth to open packages and try to stop them from chewing on finger nails, ice cubes, and other hard objects. One last worry may be plaguing you before you call to schedule an emergency dental appointment for your little one – cost. Our goal during an emergency dental treatment visit is always to relieve pain and stress, not pile on. We’ll walk you through treatment and pricing options, maximize available dental benefits, and partner with you to apply for low or no interest financing if necessary. In short, you’re not alone. Our team is here to help you through the entire emergency dentistry process, including payment.